Don Manger, age 68, passed away unexpectedly on Wednesday, January 23, 2019. Don Joseph Manger was born on March 25, 1950 in Eaton Rapids, Michigan to Edward and Dorathea (Covey) Manger. 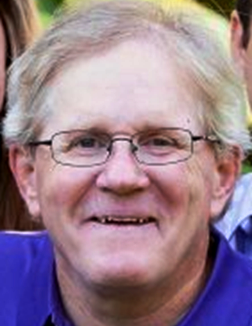 Don graduated from Eaton Rapids High School in 1969 where he was a standout wrestler and tennis player. In 1973 he graduated from Michigan State University with a BS degree in education and in 1979 he received a Master’s degree from Saint Francis University. Throughout his education at MSU he was an avid sports fan and participated in intramurals, even being offered a walk-on spot on the wrestling team. While putting himself through college, he was proud to run the Bay View summer tennis program and deliver pizzas for Domino’s. He loved to laugh and tell jokes, so much in fact, that his childhood friends called him “Smiley”. Don was a man who lived his life for others which proved true until the end when he became an organ donor. Don was a dedicated teacher of Health, PE, and U.S. History at East Noble High School. For over 30 years he passionately coached winning tennis and wrestling teams. In 2017, he was inducted into the East Noble Athletic Hall of Fame. He was a 12-year member of the Kendallville Park Board and awarded a “Friend of the Park” honor in 2017. In his retirement, he enjoyed volunteering at Parkview Noble Hospital, Kendallville YMCA, and Edward Hospital in Naperville, IL. He also continued his love of Michigan State athletics by working as an usher for the football team, relishing the opportunity to drive to East Lansing most Saturdays to cheer on the Spartans, and help a few people find their seat. His passion for the university is demonstrated by his grandchildrens’ nickname for him, “Sparty”. Don is survived by his wife, Julie, of almost 40 years; daughter, Michelle (Robert) Constantino of Glen Ellyn, Illinois; son, David (Katherine) Manger, of Chicago, Illinois; sister, Ruthanne (Ray) Ovenhouse of Eaton Rapids, Michigan; sister Renee (Nick) Manger of Santa Monica, California; brother-in-law, James Rohleder of Dallas, Texas; brother-in-law, Jeffrey (Susan) Rohleder of Fort Wayne, Indiana; and grandchildren, Nicolas, Sienna Rose, and Serafina Constantino, and Evelyn and Caroline Manger. He also is survived by nieces and nephews. Preceding him in death was his mother, father, mother-in-law, father-in-law, and a nephew, John Mchugh. Visitation will take place on Sunday, January 27, 2019 from 1:00 – 6:00 PM at Hite Funeral Home in Kendallville, Indiana. Funeral services will take place on Monday, January 28, 2019 at 10:00 AM at Hite Funeral Home in Kendallville, Indiana with visitation one hour prior to the service Pastor Chris Stephens officiating. Burial will follow at Munger Cemetery in Eaton Rapids, Michigan. In lieu of flowers, the family asks that memorials in Don’s name be given to Lurie Children’s Hospital of Chicago, Kendallville Park Department, or East Noble High School Wrestling or Tennis Programs. Share a memory or send a condolence online at www.hitefuneralhome.com.